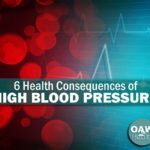 High blood pressure is one health concern that you cannot generally “feel,” although in some cases there may be certain symptoms. However, in most cases, the only way to know where you stand is to take a reading with a sphygmomanometer and look at the numbers. Balance is the name of the game. You don’t want your blood pressure to be too high or too low. Join me in a discussion of this critical health indicator that is very influential to our overall wellness. Having blood pressure that is higher than normal is called hypertension (high blood pressure). Conversely, low blood pressure is referred to as hypotension. Hypertension is a much more common health concern than hypotension. 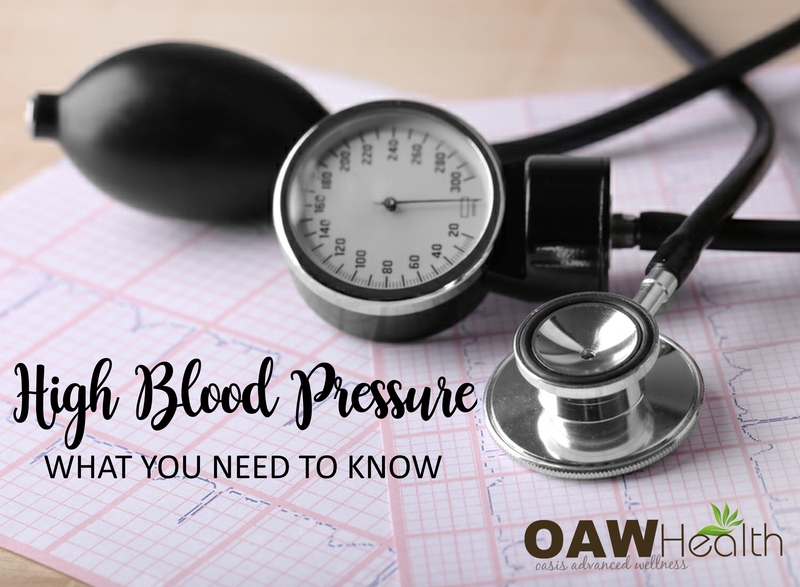 In fact, hypertension is one of the most common medical conditions in the United States, with statistics telling us that almost 90% of all individuals over the age of 55 will develop higher than normal blood pressure at some point in their lives. As we shall see, this is due largely to the Standard American Diet (SAD) and other lifestyle factors that are, unfortunately, all too common in this country. Hypertension gets most of the press, but her sister hypotension can also cause or indicate the presence of serious medical issues. Low readings within the normal range are preferred, but readings below normal are cause for concern as well. 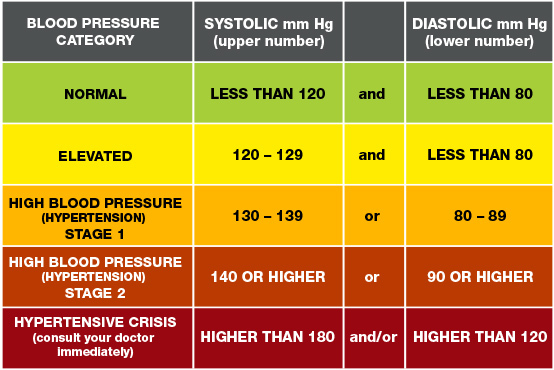 For many years, normal blood pressure was considered 120/80 mm Hg or below. However, in recent years, that number has been downgraded a bit to 115/75 mm Hg. This is the ideal blood pressure, considered to be the best goal to shoot for when it comes to BP. However, the numbers can be misleading because every individual is different, and what is “normal” for me may not be “normal” for the next person. But even these variations are only within a small range for healthy individuals. Many researchers and health care professionals feel that one of the greatest values of BP readings is their consistency, or lack thereof in some cases. 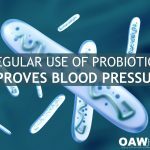 In other words, if your BP is always around 122/78 every time you get it taken, and it suddenly rises or drops 10 or 15 points, that may be an indicator that something is going on health wise with you. Of course, the greater the change, the more you should be concerned. And if the change is consistent, rather than just a onetime blip on the screen, it is usually more significant. Normal is a systolic reading of less than 120 or a diastolic pressure less than 80. Elevated is considered a systolic reading of 120-129 or a diastolic pressure less than 80. Unless steps are taken to address the issue, most prehypertension will graduate into higher stages of hypertension—but it doesn’t have to. Early intervention, preferably lifestyle changes that avoid medication unless absolutely necessary, can and do reverse prehypertension. Stage 1 hypertension: This is associated with readings of 130-139 systolic over 80-89 diastolic. This is definite hypertension. Stage 2 hypertension: This is severely high blood pressure, and it allows readings of 140 or greater systolic over 90 or greater diastolic. This is the most dangerous type of hypertension, and it can cause serious and even life threatening complications. Hypertensive crisis: Consult your doctor immediately. Systolic reading higher than 180 or diastolic reading higher than 120. There are two main types of hypertension: primary and secondary. Secondary hypertension, which statistically only accounts for 5-10% of hypertension cases, is the result of another condition or factor that causes high blood pressure. Examples include heart disease or abnormalities, kidney disease, or tumors of adrenal gland. Certain medications also can potentially cause hypertension. Some common culprits include birth control pills, decongestants, and even acetaminophen. Stimulants such as amphetamines, diet pills, and cocaine can also result in hypertension. Primary or essential hypertension is the label put on the vast majority of hypertension cases. According to the American Heart Association, there is no identifiable cause for primary hypertension. I believe it is more realistic to point to overall poor diet and lifestyle as the villain behind most primary hypertension. The cause could be split evenly between “couch-potato-itis”, refined-sugar-itis and “fast-food-itis.” To say there is no discernible cause is absurd. Race. African-Americans have a much higher incidence of hypertension than do people of other races. They also experience more health complications from hypertension. Gender. Overall it is more common for men to have high blood pressure, but women begin to catch up after menopause when their incidence increases. Age. Older folks in general have a higher rate of hypertension than younger folks. For most of us, our unhealthy habits begin to catch up with us after middle-age, and hypertension is one of the common consequences. Family history. While not officially a genetically inherited disease, hypertension does tend to run in families. Dietary and lifestyle choices. A huge factor in the American epidemic of high blood pressure. Obesity. Being overweight the heart pump harder, and increases the volume of blood in the body too. Sedentary lifestyle. Lack of exercise contributes to obesity, and causes the heart rate to increase, especially under exertion, and that leads to higher blood pressure. The heart is a muscle. If it is not exercised, it gets lazy and must strain to do its job. Smoking. It’s a no-brainer. Stay away from it. Too much sodium. A high-salt diet increases blood pressure. Too little potassium. Potassium levels must be maintained to control sodium and allow for normal bodily functions. Insufficient potassium leads to high blood pressure. Excessive stress. Both physical and mental stress have proven to contribute to high blood pressure. The situation gets even worse if a person abuses drugs or alcohol in an attempt to deal with stress. How Can High Blood Pressure be Treated or Prevented? Hypertension drugs are among the most prescribed medications of any type in this country. Needless to say, Big Pharma makes a fortune off these products. There are times when medication is needed, but if it is possible to lower your blood pressure through more natural means, I definitely recommend it. The largest factor by far at preventing high blood pressure and lowering existing conditions is lifestyle changes, as we have discussed above. Your chances of ever getting high blood pressure are greatly reduced by choosing to live and eat with a focus on good health and wellness. We reap what we sow. That’s really the bottom line. It’s not rocket science folks. Eat whole, natural foods, get plenty of exercise, and learn how to deal with stress constructively. 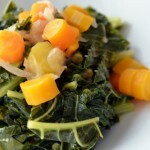 Eat a high plant-based diet rich in organic fruits and vegetables. Do some form of exercise every day. Walking is recommended. Drink lots of filtered water. Avoid fast food and pre-packaged food. Get daily sunshine on your body. Avoid BPA (Bisphenol A) found in plastics and liners of cans. Include a good calcium-magnesium supplement. Learn how to conquer stress naturally. Perform a chemical and heavy metal cleanse. Have your Vitamin D3 levels checked. Supplement according to results of labs. Glandular disorders. Examples include an under active or over active thyroid, adrenal gland problems, and diabetes. Certain medications. Common ones include those for Parkinson’s disease, some antidepressants, Viagra, diuretics, narcotics, and alcohol. Even drugs for treating hypertension can go overboard and cause your blood pressure to dip too low. Pregnancy. The circulatory system of a pregnant woman is increased in a relatively short period of time, which reduces the amount of blood in the system, and thus the blood pressure. This usually stabilizes by third trimester. Heart dysfunction. Heart attacks, valve problems, and lower than normal heart rate (bradychardia) can all contribute to low blood pressure. Dehydration. Diarrhea, vomiting, and fever can all result in a reduction in the fluid levels in the body. This causes less blood to be available, and thus can produce hypotension. Shock. Trauma from excessive blood loss or a serious injury can result in a sudden and dangerous drop in blood pressure. In some cases, it can be fatal. Severe allergic reactions. If a person experiences anaphylaxis, a dangerous reaction to a bee or wasp sting or a food allergen, blood pressure can drop dangerously low. The best way to avoid hypotension is to deal with the underlying condition that’s causing it. For example, if you have low blood sugar, try eating small meals six times per day. Never go without good, wholesome food long enough to allow your blood sugar drop too low. Dealing with hypotension is much different than hypertension. Many causes of hypotension are beyond your control, unlike hypertension which can be managed more aggressively. However, if you effectively deal with your low blood sugar, glandular concerns, dehydration or whatever the root cause of the hypotension may be, it can indirectly be the best way to treat hypotension. In conclusion your blood pressure is just a factor that tells you how you’re doing in our overall quest for wellness. Usually, but not always, if you behave yourself and treat your body in the way it was designed to be treated, blood pressure issues, especially hypertension, will not be a concern. The answer to achieving good health is not in medications. The real key to a healthy life is a preventative lifestyle that yields the fruit of wellness. 1. Carvalho JJ, Baruzzi RG, Howard PF, et al. Blood pressure in four remote populations in the INTERSALT Study. Hypertension. 1989 Sep;14(3):238-46. 2. Ahmed MI, Pisoni R, Calhoun DA. Current options for the treatment of resistant hypertension. Expert Rev Cardiovasc Ther. 2009 Nov;7(11):1385-93. 3. Geleijnse JM, Witteman JC, Bak AA, den Breeijen JH, Grobbee DE. Reduction in blood pressure with a low sodium, high potassium, high magnesium salt in older subjects with mild to moderate hypertension. BMJ. 1994 Aug 13;309(6952):436-40. 4. The Seventh Report of the Joint National Committee on Prevention, Detection, Evaluation, and Treatment of High Blood Pressure. JAMA. 2003 May 21;289(1):2560-75. 5. Appel L J, Moore T J, Obarzanek E, et al. A clinical trial of the effects of dietary patterns on blood pressure. DASH Collaborative Research Group. N Engl J Med. 1997 Apr 17;336(16):1117–24. 6. Szinnai G, Schachinger H, Arnaud MJ, Linder L, Keller U Effect of water deprivation on cognitive-motor performance in healthy men and women. Am J Physiol Regul Integ Comp Physiol. 2005 Jul;289(1):R275-80. 7. Colussi G, De Ferrari ME, Brunati C, Civati G. Medical prevention and treatment of urinary stones. J Nephrol. 2000 Nov-Dec;13 Suppl 3:S65-70. 8. Pastorova VE, Esartiia DT. Status of the coagulant and anticoagulant systems of the blood in experimental acute intestinal dehydration of the body. Biull Eksp Biol Med. 1981 Sep;92(9):287-9. 9. Bagdade JD, Buchanan WF, Pollare T, Lithell H. Effects of hydrochlorothiazide and captopril on lipoprotein lipid composition in patients with essential hypertension. Eur J Clin Pharmacol. 1996;49(5):355-9. 10. Nandeesha H, Pavithran P, Madanmohan T. Effect of antihypertensive therapy on serum lipids in newly diagnosed essential hypertensive men. Angiology. 2009 Apr-May;60(2):217-20. 11. Haffner SM. The prediabetic problem: development of non-insulin-dependent diabetes mellitus and related abnormalities. J Diabetes Complications. 1997 Mar-Apr;11(2):69-76. 12. Reungjui S, Pratipanawatr T, Johnson RJ, Nakagawa T. Do thiazides worsen metabolic syndrome and renal disease? The pivotal roles for hyperuricemia and hypokalemia. Curr Opin Nephrol Hypertens. 2008 Sep;17(5):470-6. 13. Zillich AJ, Garg J, Basu S, et al. Thiazide diuretics, potassium, and the development of diabetes: a quantitative review. Hypertension. 2006 Aug;48(2):219-24. 14. Black HR, Davis B, Barzilay J, et al. Metabolic and clinical outcomes in nondiabetic individuals with the metabolic syndrome assigned to chlorthalidone, amlodipine, or lisinopril as initial treatment for hypertension: a report from the Antihypertensive and Lipid-Lowering Treatment to Prevent Heart Attack Trial (ALLHAT). Diabetes Care. 2008 Feb;31(2):353-60. 15. Hu FB, Manson JE, Willett WC. Types of dietary fat and risk of coronary heart disease: a critical review. J Am Coll Nutr. 2001 Feb;20(1):5-19. 16. Elliott SS, Keim NL, Stern JS, Teff K, Havel PJ. Fructose, weight gain, and the insulin resistance syndrome. Am J Clin Nutr. 2002 Nov;76(5):911-22. 17. Matía Martín P, Lecumberri Pascual E, Calle Pascual AL. Nutrition and metabolic syndrome. Rev Esp Salud Publica. 2007 Sep-Oct;81(5):489-505. 18. Bardella MT, Fredella C, Prampolini, L et al. Body composition and dietary intakes in adult celiac disease patients consuming a strict gluten-free diet. Am J Clin Nutr. 2000 Oct;72(4):937-39. 19. Cheng J, Brar PS, Lee AR, Green PH. Body mass index in celiac disease: beneficial effect of a gluten-free diet. J Clin Gastroenterol 2009 Sep 23. 20. Capristo E, Malandrino N, Farnetti S, et al. Increased serum high-density lipoprotein-cholesterol concentration in celiac disease after gluten-free diet treatment correlates with body fat stores. J Clin Gastroenterol. 2009 Nov-Dec;43(10):946-9. 21. Rizek RL, Friend B, Page L. Fat in today’s food supplylevel of use and sources. J Am Oil Chem Soc. 1974;51:244-50. 22. Astrup A, Dyerberg J, Selleck M, Stender S. Nutrition transition and its relationship to the development of obesity and related chronic diseases. Obes Rev. 2008 Mar;9 Suppl 1:48-52. 23. Chavarro JE, Stampfer MJ, Campos H, Kurth T, Willett WC, Ma J. A prospective study of trans-fatty acid levels in blood and risk of prostate cancer. Cancer Epidemiol Biomarkers Prev. 2008 Jan;17(1):95-101. 24. Rohr-Udilova NV, Stolze K, Sagmeister S, Nohl H, Schulte-Hermann R, Grasl-Kraupp B. Lipid hydroperoxides from processed dietary oils enhance growth of hepatocarcinoma cells. Mol Nutr Food Res. 2008 Mar;52(3):352-9. 25. Adam SK, Das S, Soelaiman IN, Umar NA, Jaarin K. Consumption of repeatedly heated soy oil increases the serum parameters related to atherosclerosis in ovariectomized rats. Tohoku J Exp Med. 2008 Jul;215(3):219-26. 26. Soriquer F, Rojo-Martínez G, Dobarganes MC, et al. Hypertension is related to the degradation of dietary frying oils. Am J Clin Nutr. 2003 Dec;78(6):1092-97. 27. Bozan B, Temelli F. Chemical composition and oxidative stability of flax, safflower and poppy seed and seed oils. Bioresour Technol. 2008 Sep;99(14):6354-9. 28. Brenes M, García A, Dobarganes MC, Velasco J, Romero C. Influence of thermal treatments simulating cooking processes on the polyphenol content in virgin olive oil. J Agric Food Chem. 2002 Oct 9;50(21):5962-7. 29. Babio N, Bulló M, Salas-Salvadó J. Mediterranean diet and metabolic syndrome: the evidence. Public Health Nutr. 2009 Sep;12(9A):1607-17. 30. Available at: http://lpi.oregonstate.edu/infocenter/foods/grains/gigl.html. Accessed December 9, 2009. 31. Rousset H. A great imitator for the allergologist: intolerance to gluten. Eur Ann Allergy Clin Immunol. 2004 Mar;36(3):96-100. 32. Verdu EF, Armstrong D, Murray JA, et al. Between celiac disease and irritable bowel syndrome: the “no man’s land” of gluten sensitivity. Am J Gastroenterol. 2009 Jun;104(6):1587-94. 33. Cuomo A, Romano M, Rocco A, et al. Reflux oesophagitis in adult coeliac disease: beneficial effect of a gluten free diet. Gut. 2003 Apr;52(4):514-17. 34. Kalaydjian AE, Eaton W, Cascella N, Fasano A. The gluten connection: the association between schizophrenia and celiac disease. Acta Psychiatr Scand. 2006 Feb;113(2):82-90. 35. Vojdani A, O’Bryan T, Green JA et al. Immune response to dietary proteins, gliadin and cerebellar peptides in children with autism. Nutr Neurosci. 2004 Jun;7(3):151-61. 36. Elder JH, Shankar M, Shuster J, Theriaque D, Burns S, Sherrill L. The gluten-free, casein-free diet in autism: results of a preliminary double blind clinical trial. J Autism Dev Disord. 2006 Apr;36(3):413-20. 37. Collin P, Reunala T, Pukkala E, et al. Coeliac disease–associated disorders and survival. Gut. 1994 Sep;35(9):1215-18. 38. Hernandez L, Green PH. Extraintestinal manifestations of celiac disease. Curr Gastroenterol Rep. 2006 Oct;8(5):383-89. 39. Volta U, De Angelis GL, Granito A, et al. Autoimmune enteropathy and rheumatoid arthritis: a new association in the field of autoimmunity. Dig Liver Dis. 2006 Dec;38(12):926-9. 40. Freeman HJ. Adult celiac disease followed by onset of systemic lupus erythematosus. J Clin Gastroenterol. 2008 Mar;42(3):252-5. 41. Rodrigo L, Alvarez N, Riestra S, et al. Relapsing acute pancreatitis associated with gluten enteropathy. Clinical, laboratory, and evolutive characteristics in thirty-four patients. Rev Esp Enferm Dig. 2008 Dec;100(12):746-51. 42. Festen EA, Szperl AM, Weersma RK, Wijmenga C, Wapenaar MC. Inflammatory bowel disease and celiac disease: overlaps in the pathology and genetics, and their potential drug targets. Endocr Metab Immune Disord Drug Targets. 2009 Jun;9(2):199-218. 43. McGough N, Cummings JH. Coeliac disease: a diverse clinical syndrome caused by intolerance of wheat, barley and rye. Proc Nutr Soc. 2005 Nov;64(4):434-50. 44. Wallace DJ, Hallegua DS. Fibromyalgia: the gastrointestinal link. Curr Pain Headache Rep. 2004 Oct;8(5):364-8. 45. Prigent F, Civatte J. Atopy and associated diseases. Ann Dermatol Venereol. 1982;109(4):341-53. 46. Available at: http://digestive.niddk.nih.gov/ddiseases/pubs/celiac/. Accessed December 9, 2009. 47. Rubio-Tapia A, Kyle RA, Kaplan EL, et al. Increased prevalence and mortality in undiagnosed celiac disease. Gastroenterology. 2009 Jul;137(1):88-93. 48. Lind L, Hanni A, Lithell H, et al. Vitamin D is related to blood pressure and other cardiovascular risk factors in middle-aged men. Am J Hypertens. 1995 Sep;8(9):894–901. 49. Forman JP, Curhan GC, Taylor EN. Plasma 25-hydroxyvitamin D levels and risk of incident hypertension among young women. Hypertension. 2008 Nov;52(5):828-32. 50. Pfeifer M, Begerow B, Minne HW, et al. Effects of a short-term vitamin D3 and calcium supplementation on blood pressure and parathyroid hormone levels in elderly women. J Clin Endcrinol Metab. 2001;86:1633–37. 51. Witham MD, Nadir MA, Struthers AD. Effect of vitamin D on blood pressure: a systematic review and meta-analysis. J Hypertens. 2009 Oct;27(10):1948-54. 52. Giovannucci E. Vitamin D and cardiovascular disease. Curr Atheroscler Rep. 2009 Nov;11(6):456-61. 53. Rosenfeldt FL, Haas SJ, Krum H, et al. Coenzyme Q10 in the treatment of hypertension: a meta-analysis of the clinical trials. J Hum Hypertens. 2007 Apr;21(4):297-306. 54. Devereux RB, Wachtell K, Gerdts E, et al. Prognostic significance of left ventricular mass change during treatment of hypertension. JAMA. 2004;292:2350-56. 55. Langsjoen PH, Folkers. Isolated diastolic dysfunction of the myocardium and its response to CoQ10 treatment. Clin Investig. 1993;71:S140-44. 56. Langsjoen P, Willis R, Folkers K. Treatment of essential hypertension with coenzyme Q10. Mol Aspects Med. 1994;15:S265-72. 57. Zibadi S, Rohdewald PJ, Park D, Watson RR. Reduction of cardiovascular risk factors in subjects with type 2 diabetes by pycnogenol supplementation. Nutr Res. 2008 May;28(5):315-20. 58. Liu X, Wei J, Tan F, Zhou S, Würthwein G, Rohdewald P. Pycnogenol, French maritime pine bark extract, improves endothelial function of hypertensive patients. Life Sci. 2004 Jan 2;74(7):855-62. 59. 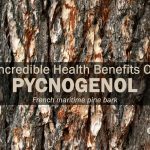 Rohdewald P. A review of the French maritime pine bark extract (pycnogenol), a herbal medication with a diverse clinical pharmacology. Int J Clin Pharmacol Ther. 2002 Apr;40(4):158-68. 60. Erlund I Koli R, Alfthan G, et al. Favorable effects of berry consumption on platelet function, blood pressure, and HDL cholesterol. Am J Clin Nutr. 2008;87:323-31. 61. Aviram M, Rosenblat M, Gaitini D, et al. Pomegranate juice consumption for 3 years by patients with carotid artery stenosis reduces common carotid intima-media thickness, blood pressure and LDL oxidation. Clin Nutr. 2004 Jun;23(3):423-33. 62. Ojeda D, Jiménez-Ferrer E, Zamilpa A, et al. Inhibition of angiotensin converting enzyme (ACE) activity by the anthocyanins delphinidin- and cyanidin-3-O-sambubiosides from Hibiscus sabdariffa. J Ethnopharmacol. 2009 Oct 4. 63. Xu JW, Ikeda K, Yamori Y. Upregulation of endothelial nitric oxide synthase by cyanidin-3-glucoside, a typical anthocyanin pigment. Hypertension. 2004 Aug;44(2):217-22. 64. Guerrera MP, Volpe SL, Mao JJ. Therapeutic uses of magnesium.Am Fam Physician. 2009 Jul 15;80(2):157-62. 65. Pham PC, Pham PM, Pham PT, et al. The link between lower serum magnesium and kidney function in patients with diabetes mellitus Type 2 deserves a closer look. Clin Nephrol. 2009 Apr;71(4):375-9. 66. Kawano Y, Matsuoka H, Takishita S, Omae T. Effects of magnesium supplementation in hypertensive patients: assessment by office, home, and ambulatory blood pressures. Hypertension. 1998 Aug;32(2):260-5. 67. Rayssiguier Y, Gueux E, Nowacki W et al. High fructose consumption combined with low dietary magnesium intake may increase the incidence of the metabolic syndrome by inducing inflammation. Magnes Res. 2006 Dec;19(4):237-43. 68. Hatzistavri LS, Sarafidis PA, Georgianos PI, et al. Oral magnesium supplementation reduces ambulatory blood pressure in patients with mild hypertension. Am J Hypertens. 2009 Oct;22(10):1070-5. 69. Baker WL, Kluger J, White CM, et al. Effect of magnesium L-lactate on blood pressure in patients with an implantable cardioverter defibrillator. Ann Pharmacother. 2009 Apr;43(4):569-76. 70. Guerrero-Romero F, Rodríguez-Morán M. The effect of lowering blood pressure by magnesium supplementation in diabetic hypertensive adults with low serum magnesium levels: a randomized, double-blind, placebo-controlled clinical trial. J Hum Hypertens. 2009 Apr;23(4):245-51. 71. Geleijnse JM, Giltay EJ, Grobbee DE, et al. Blood pressure response to fish oil supplementation: metaregression analysis of randomized trials. J Hypertens. 2002 Aug;20(8):1493-9. 72. Cicero AF, Ertek S, Borghi C. Omega-3 polyunsaturated fatty acids: their potential role in blood pressure prevention and management. Curr Vasc Pharmacol. 2009 Jul;7(3):330-7. 73. da Luz PL, Coimbra SR. Wine, alcohol and atherosclerosis: clinical evidences and mechanisms. Braz J Med Biol Res. 2004 Sep;37(9):1275-95. 74. Guarente L. Sirtuins in aging and disease. Cold Spring Harb Symp Quant Biol. 2007;72:483-8. 75. Inanaga K, Ichiki T, Matsuura H et al. Resveratrol attenuates angiotensin II-induced interleukin-6 expression and perivascular fibrosis. Hypertens Res. 2009 Jun;32(6):466-71. 76. Labinskyy N, Csiszar A, Veress G, et al. Vascular dysfunction in aging: potential effects of resveratrol, an anti-inflammatory phytoestrogen. Curr Med Chem. 2006;13(9):989-96. 77. Takahashi S, Uchiyama T, Toda K. Differential effect of resveratrol on nitric oxide production in endothelial f-2 cells. Biol Pharm Bull. 2009 Nov;32(11):1840-3. 78. Ruggenenti P, Cattaneo D, Loriga G, et al. Ameliorating hypertension and insulin resistance in subjects at increased cardiovascular risk: effects of acetyl-L-carnitine therapy. Hypertension. 2009 Sep;54(3):567-74. 79. Brotman DJ, Davidson MB, Boumitri M, Vidt DG. Impaired diurnal blood pressure variation and all-cause mortality. Am J Hypertens. 2008 Jan;21(1):92-7. 80. Scheer FA, Van Montfrans GA, van Someren EJ, et al. Daily nighttime melatonin reduces blood pressure in male patients with essential hypertension. Hypertension. 2004 Feb;43(2):192-7. 81. Grossman E, Laudon M, Yalcin R, et al. Melatonin reduces night blood pressure in patients with nocturnal hypertension. Am J Med. 2006 Oct;119(10):898-902. 82. Sanghyuk Bae, Yun-Chul Hong. Exposure to Bisphenol A From Drinking Canned Beverage Increases Blood Pressure. Hypertension. December 8, 2014. doi: 10.1161/HYPERTENSIONAHA.114.04.261. 83. Larsson SC, Orsini N, Wolk A. Dietary magnesium intake and risk of stroke: a meta-analysis of prospective studies. 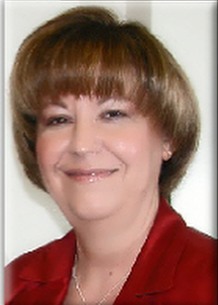 Am J Clin Nutr 2012;95:362-6.